Richard Kennard served on the Expert Group for JSR-299, a specification to unify Java Web application development. He served alongside the likes of Sun, Google and Oracle to deliver what IBM called "an ambitious task". JSR-299, later renamed Contexts and Dependency Injection (CDI), proved to be very successful. 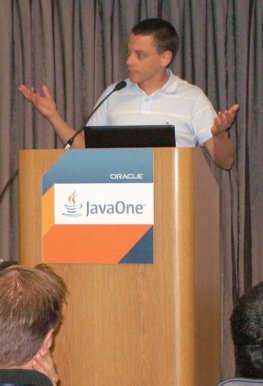 It now forms a cornerstone of the Java EE platform and is an integral part of many applications and frameworks. I would like to give a huge thanks to everyone on the Expert Group. I know it's inelegant to single out individuals, but since it is rare to see people (especially individual JCP members) recognized for their contributions to spec groups, I'm going to do it anyway. Extra special thanks to Richard Kennard.